Your business card is often your firm's link to what could be a long-lasting relationship with new clients and future business opportunities. Therefore, it's imperative that your business card portrays the essence of your accounting firm, as well as implementing your unique personal touch. 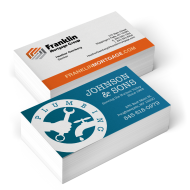 Business cards make it easy to give important and actionable details about your firm and your role within your organization to customers, prospects, friends and clients alike. 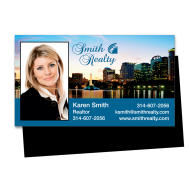 Oftentimes handing out a business card serves as an introduction to your firm. The look and feel of your business card says a lot about your brand and creates a lasting impression with your potential client. 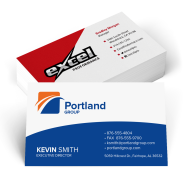 This is why your business card needs to effectively convey the feel and core of your accounting office. Equally important is that your business cards have a personal touch that helps to establish relationships, while clearly and concisely sharing your contact information to ensure optimal communication in future interactions. 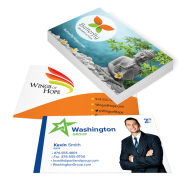 Printing options range from Classic® paper one or two ink-color cards – which are available with a FREE "raised printing" option – to vibrant full-color cards, capable of displaying a full image that will highlight your firm's brand, while still providing all the information needed. You can also choose from a variety of premium paper stocks. Professional, well-designed business cards will help your agency stand out from the crowd while representing your brand effectively and clearing the way for constant, healthy business growth.  Order your business cards with the Mines Press today!